Hawaii still feels like a dream. It’s almost been a month since I’ve came back and I’m still floating on clouds. There’s nothing like waking up before dawn and sailing on a catamaran as the sun rises from the horizon. 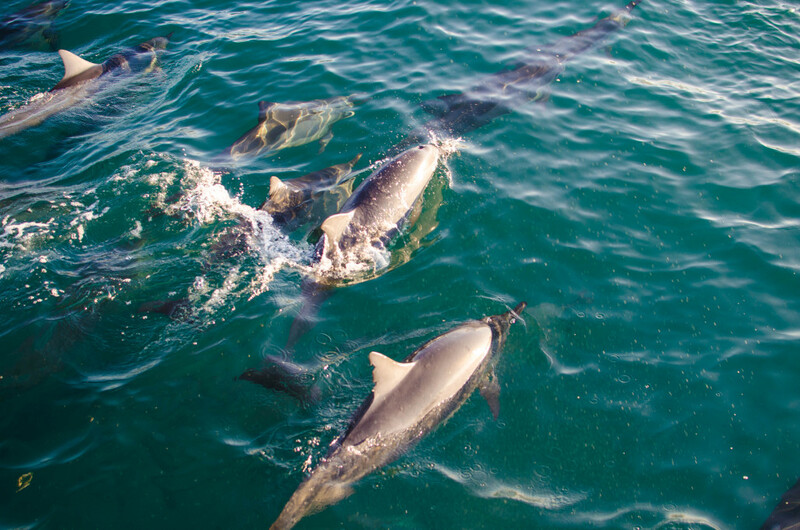 And…, that’s just how my sail with Blue Dolphin Charters began. The Na Pali coast is just awe-inspiring. There’s a lot character to these high cliffs — plenty of waterfalls flowing down it’s green walls, sea caverns, and isolated beaches. In addition to viewing the majestic beauty of the coast, there were a lot of sea animals spotting on the cruise. Did I mention two schools of spinner dolphins came out to play throughout out the day?! They are such fun creatures — performing acrobatics and racing our boat. Remember my first dolphin kiss? I just adore them, hence the excessive amounts of photos taken. Whale watching season also just began, so we were able to see some of the humpbacks and their kids.